Manatee — The attorney for the River Club Homeowners Association said he’s prepared to do whatever it takes to quash the creation of a municipal services taxing unit, or MSTU, that would lead to the establishment of a preserve. This includes getting an opinion from Florida’s lawyer: Attorney General Pam Bondi. In a letter sent to Assistant County Attorney Bill Clague, the HOA’s attorney Eric N. Appleton of Tampa-based law firm Bush Ross asked that the county seek Bondi’s legal advice. “As Manatee County is apparently poised to attempt to use the MSTU process in an unprecedented manner, it seems prudent for the BOCC and your office to seek this legal guidance from our State’s Attorney General,” the Feb. 26 letter read. Clague wasn’t immediately available for comment, but stated in an email to Appleton that he would address the HOA’s concerns on the record in front of commissioners. According to the attorney general’s website, Bondi has most recently issued an opinion on whether Monroe County could establish a MSTU to fund landscaping, signage and canal maintenance and restoration. She wrote that it is up to the county to decide if these services are deemed “essential” to the people in that taxing unit. Friends of Keep Woods and the River Club Homeowners Association are at odds over a municipal services taxing unit that would save a wooded area behind Braden Woods from being developed. 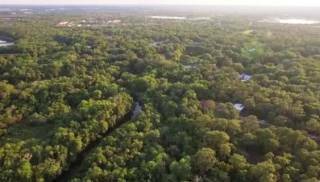 The Manatee County MSTU in question is being proposed to 1,440 residents in the Braden Woods/River Club subdivisions to increase their property tax by a millage rate of 0.53 over 30 years. The funds would be used to purchase a 33-acre parcel of land to turn it into a preserve. An agreement needs to be in place by March 31, a deadline set by developer Pat Neal, who intends to cluster 32 homes on the site and call it the gated community of Myara. Appleton told the Bradenton Herald on Monday that he hasn’t found a case where an MSTU was used in this manner. Wanting to prevent development on a pristine patch of woods, a group called Friends of Keep Woods banded together to come up with a way to buy the land, priced at $3 million. The Conservation Foundation of the Gulf Coast is facilitating the transaction, also raising funds for its purchase, and has gained a nearby 11 acres that would be added to the preserve if the purchasing mechanism passes. County officials and Keep Woods members held several community meetings to spread information on what the MSTU would entail and when the county would send out postcard polls in two rounds. If more than half of residents showed support, it would indicate whether county staff would bring the MSTU proposal to the board of county commissioners, who have the final say. When MSTU supporters saw that they might be short of votes, they found out who did and didn’t vote based on a public records request of addresses and went door to door asking for responses. Keep Woods members said that the postcards never reached some residents, or were sent to vacant lots. They notarized their substitute polls, which would have pushed support over 50 percent, and asked that commissioners consider their plea during a January commission meeting. “You could get 100 percent support and not establish an MSTU,” Clague had added. The Myara project’s rezone could have also increased the value of the land, which Appleton believes will result in the 1,440 homeowners paying more than the $3 million. In her Jan. 19 letter to commissioners, attorney Patricia Petruff, who was hired to represent the association in December, believes that properties of this worth should be appraised twice, not once. “Why would the County set its citizens up to pay more and enrich the current land owner at their expense?” Appleton asked in his letter. “I don’t think it’s necessary,” he said. He said he understands that nobody likes being taxed (“It’s a fact of life,” he said.) and Keep Woods is not against development, but they want to promote more green space in the county. “We’re destroying the very thing that makes this area attractive to people,” he said. The board of county commissioners will decide on the matter at their next regular meeting on March 6.